Dr. Behnam Arya has more than 20 years of experience in analysis, design, and investigation of structures. He has directed a large number of investigation projects to determine the cause of structural damage and/or failures due to earthquakes, extreme winds, and construction defects and design errors, as well as extensive experience in conducting and directing destructive and non-destructive structural testing. Behnam has performed post-earthquake damage assessments and analysis of buildings following the 1994 Northridge earthquake in California and 2010-11 Canterbury earthquake sequence in Christchurch, New Zealand. He has conducted wind damage assessments and analysis of building structures for numerous residential and commercial buildings after hurricanes Andrew, Charley, Wilma, and Irma in Florida, Hurricane Katrina in Mississippi, Hurricane Ike in Texas, and CAT-90 Sandy in New Jersey. 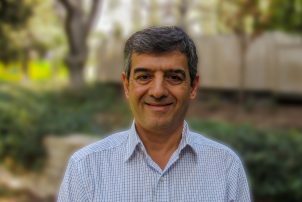 Behnam actively participates in professional and technical committees and has published more than 30 papers in refereed journals and conference proceedings. He is currently a member of Forensic Practices Committee of ASCE through which he recently coauthored “Guidelines for Forensic Engineering Practice (Second Edition)” a publication of the American Society of Civil Engineers (ASCE).